Peach and apricot blended with the most popular white wine variety in the world, makes for an irresistible and refreshing thirst-quencher that is perfect for any occasion. Full of luscious berry flavor that can be enjoyed by itself, or paired with the right food. Sangria Zinfandel Blush, a sweet and easy-drinking summertime wine, is a medley of seasonal fruits. A perfect aperitif/cocktail, its crispness primes the palate for food. This blush wine has been given some fire of excitement with the addition of sweet dragonfruit. Combining the refreshing and juiciness of North American cranberries with the rich deep power of Malbec's fruitiness, makes a wine with a "drink-me-now" quality that's great for those lazy days of summer. A wonderful summer drink that will leave you wanting more, right after the first sip. 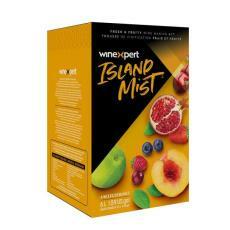 A burst of berry mixed with the spiciness of Pinot Noir lends a great fruit flavor to your palate. Kiwi + Pears + Sauvignon Blanc = a wonderfully refreshing beverage that is great for those hot summer days. Like picking ripe, dark, succulent blackberries straight off the vine.